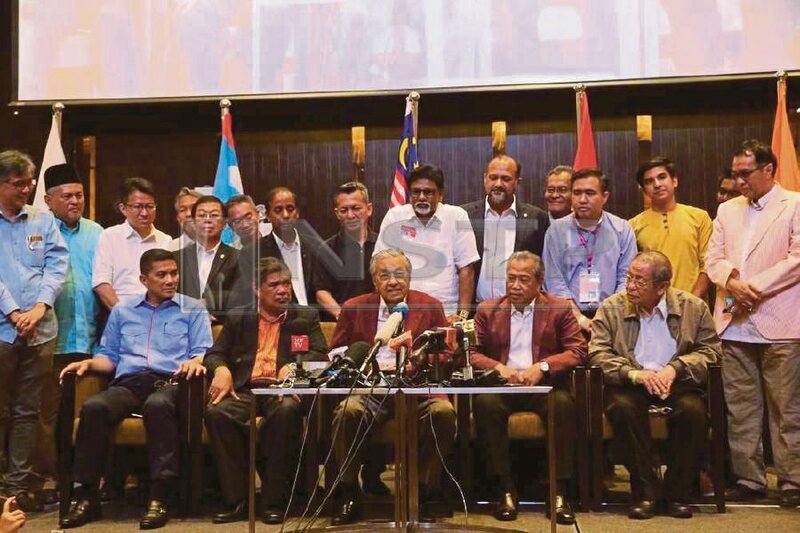 WHO among the existing members of parliament would want to mount a vote of no confidence against Prime Minister Tun Dr Mahathir Mohamad? This is a question posed by some people in recent days, including politicians and men in the street. Big or small, they talk about this and do their best to analyse the situation. Who would make such a move, and why. Many of us also want to know if this is just teh tarik talk or a genuine attempt. It seems that politics is the national pastime for many of us, like it or not. In politics, anything is possible. In fact, nothing is secret and sacred. What was seen to be impossible for decades is now fact. Politics has a life and momentum of its own, full of intrigue and mind games. This talk of a vote of no-confidence was a question a grassroots politician asked me a few days ago. We were chatting online when he posed me the question. The retired businessman has been following closely the country’s political developments in recent weeks. He’s an Umno member. He was a tireless party activist, forever promoting his party and defending it when necessary. His passion for Umno has somewhat declined in recent months, but he keeps abreast of all the political developments. The 60-year-old went on to say that he has been an admirer of Dr Mahathir, now Bersatu chairman, for as long as he could remember. The activist may be a staunch Umno supporter and a Barisan National voter, but his respect for Dr Mahathir has not waned. His interest in the so-called vote of no-confidence heightened when he read news of Pas president Datuk Seri Abdul Hadi Awang declaring his support for the prime minister. A few days ago, Hadi was reported to have said that he and his party would side with the prime minister should there be an attempt to dislodge Dr Mahathir in the Dewan Rakyat. Does Hadi know something that others don’t? Or was he trying to be pally with Dr Mahathir now that the Pas leader is said to have benefited financially from the scandal linked to 1Malaysia Development Bhd, and that this could lead to official investigations by the relevant authorities? In good English, the activist said: “Am I reading things right? Or have I gone senile? Anyone who wants to mount a vote of no- confidence against the prime minister can only do so after he has done his math. “This would be the first time that such a thing happened in our Parliament. But then again, we have seen quite a few firsts in our politics in recent years. Everyone has seen how dynamic our politics has been of late,” the veteran street politician remarked. His sentiments were echoed by several other politicians who have been in the game a long time. A one-time deputy minister told me over the weekend that no one single MP and/or his party would have the numbers to mount such a challenge. The other question that’s begging to be asked — according to this Umno politician — why would anyone want to do that? Of course, there are grumblings here and there but politics is always like that. I was reminded of a call by a Johor DAP committee member, Dr Boo Cheng Hau, who demanded that Dr Mahathir resign for “belittling the Pakatan Harapan’s manifesto and promises”. Would this be a solid enough ground by DAP to move for a vote of no-confidence? No other DAP leader echoed Dr Boo’s call, it must be pointed out. DAP, as everyone knows, holds senior cabinet positions with Lim Guan Eng, MP for Bagan and party secretary-general, as finance minister. Speculations are plenty. But politics is a game of numbers. Ideologies aside, eventually it is numbers that decide. Any party that gathers the biggest number of seats gets the mandate to form the government. In the May 9 general election last year, the Dr Mahathir-led PH won 113 of the 222 seats offered. PKR and DAP reaped the biggest haul with 48 and 42 seats, respectively. Dr Mahathir’s own party, Bersatu, weighed in with 12 while Pas fared badly with only 18 seats of the 157 it contested. All this talk of a vote of no-confidence can distract national administration. The PH government has plenty to do, and the people’s expectations are high. There are cabinet ministers who are clearly not performing, and this has not endeared them to voters and the general public. There have been calls on the prime minister to revamp the cabinet, which I believe he will do when the time comes. Would the BN mount such a challenge against the prime minister? Look at the numbers and make your conclusion. Would anyone else want to do likewise and rock the country with fresh political battles that can potentially be damaging all round? I think everyone should focus on the tasks at hand rather than scheming and conniving a vote of no-confidence, if there’s going to be one, that is. Malaysia Baru calls for fresh politics based on “what’s good for the country” and not “what’s in it for me”. Will Trump be good for world peace?